Used with Angle type systems ( FRACARRO, Vision, WISI, Tayor & Televes). 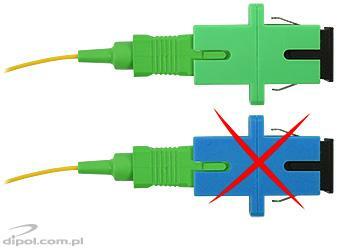 FC/UPC (Blue plug) - SC/APC (Green plug). Used to convert Angle type systems ( FRACARRO, Vision, WISI, Tayor & Televes). FC/APC (Green plug) - SC/APC (Green plug). This optical patch lead is for use when fitting a FRACARRO OPT-RX SCD2 SKY-Q dSCC receiver unit. 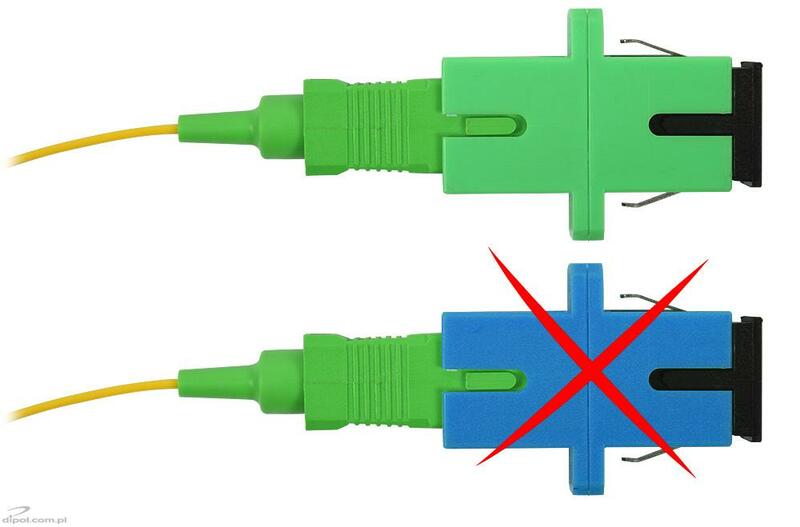 FC/PC (Blue plug) - LC/APC (Green plug). High Quality and Cost-effective 9/125μm Singlemode Fibre Patch Cable. The 9/125μm single mode fibre patch cable meets RoHS compliant, and all cables are 100% optically tested for insertion loss to ensure high quality, it is very cost-effective for network cabling.